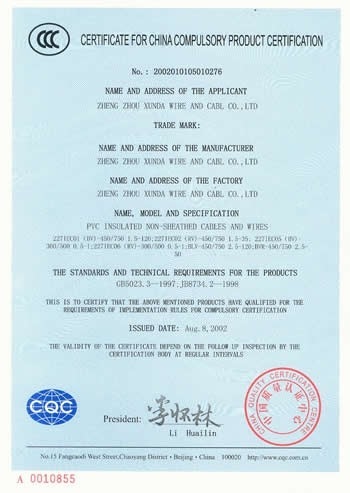 Company Overview - Henan Xunda Cable Co., Ltd.
Henan Xunda Cable Co., Ltd.
10YRSHenan Xunda Cable Co., Ltd.
Zhengzhou Xunda Wire & Cable Co., Ltd. setted up in 1995 and expanded in 2001. 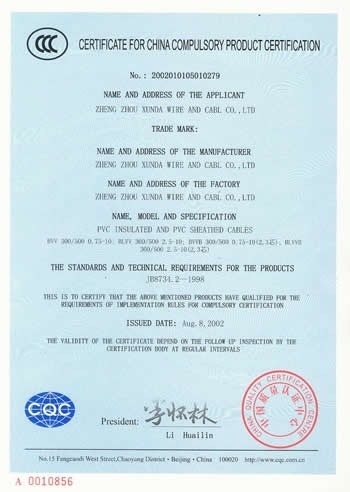 We are located Wire & Cable Science and Technology Park, West development Zone, Zhengzhou, China. 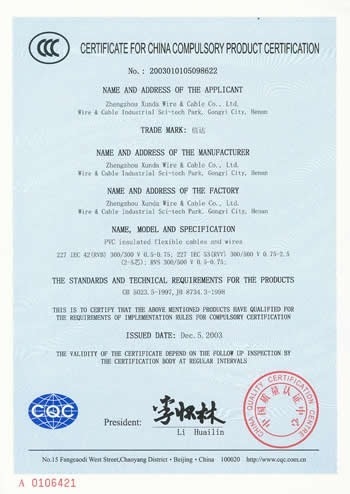 We are engaged in the production and processing of wires and cables, which can be widely used in various fields.Our company always adheres to the principle of "Human based spirit as well as moral integrity oriented management". Besides, we possess a great number of professional highly-technological talents, well-furnished testing equipment as well as strict operating steps. 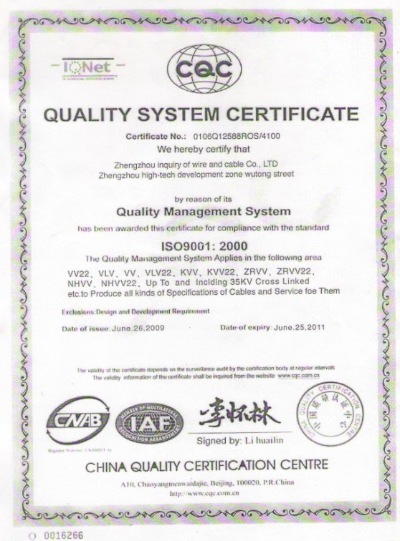 By such advantages, we manufacture meticulously according to international norms and have passed the quality evaluation of ISO9001 certification and national CCC Certification. 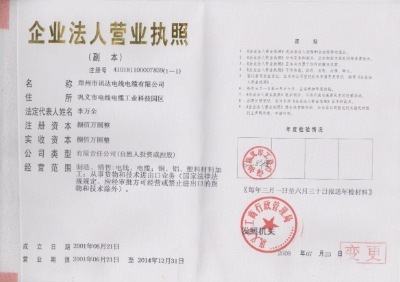 Our company has been honored as "an enterprise of overseeing contracts and keeping promises", "trustworthy enterprise" as well as "a unit of honesty and legalism". 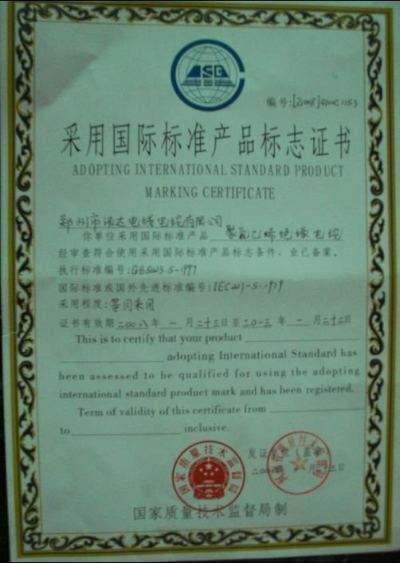 Moreover, we have harvested a title of "quality guaranteed manufacturer" by Henan Institute for the quality inspection.Our company builds up a loyal brand by the perspective of "Technology oriented" as well as "Honesty goes far". We would like to sincerely cooperate with old or new friends with substantial resources and considerate services in creating a splendid future. VV22,VLV,VV,VLV22,KVV,KVV22,ZRVV,ZRVV22,NHVV,NHVV22,Up To and Inculding 35KV Cross Linked etc.